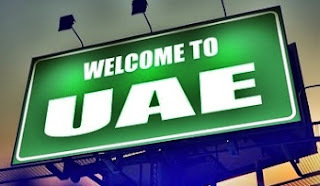 Tax free income –The primary motive of job candidates relocating to the UAE, employees benefit from a 100% tax free salary, not liable for income tax. There is no restriction to transfer the earned money to home country. Expo 2020 – The single biggest international event in the Middle East’s history and estimated to attract in excess of 25 million tourists. Expo 2020 is expected to bring significant social and economic gains to the region, including huge job opportunities across a spectrum of sectors. The World Expo 2020 in Dubai would attract new opportunities not only for Dubai and the UAE, but across the region and the world, establishing new partnerships and creating a lasting experience for everyone who visits and participates, as reminded also by His Highness Sheikh Ahmed bin Saeed Al Maktoum. An economic impact study by Oxford Economics into Dubai Expo 2020 reports the total economic output across the Dubai economy would amount to 28.8 billion Euros, and will create over 277,000 jobs between 2013 and 2021. Importantly, for every Expo employee, approximately 50 additional jobs will be sustained across the Middle East and North African economy.